Highland League side Rothes have been deducted three points. The Highland League side were hit with the punishment at last night’s meeting of the league management committee and agreed to the rule breach, which occurred once. The deduction drops Rothes into eighth on 16 points, level with Huntly, ahead of the home game against Fraserburgh at Mackessack Park tomorrow. Rothes flagged up the error to the league, after fielding a trialist on four occasions rather than the regulatory three. A league statement said: ‘The matter of Rothes FC fielding an ineligible player on one occasion was considered by the league management committee at its meeting yesterday evening. “In forming its conclusion, the league management committee took into account the fact that the club had agreed that this amounted to a breach of Rule 8.9.5 and that the terms of clause 8.9.13 provided for a mandatory penalty. 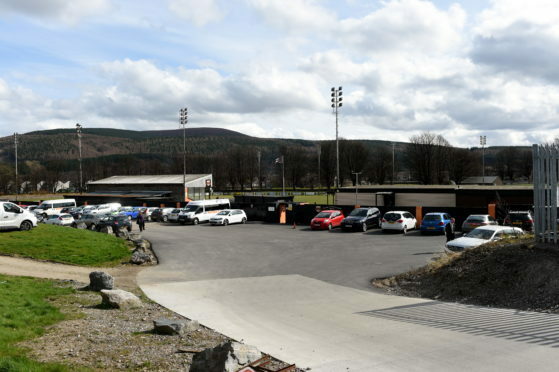 They are the second club to be dealt such a penalty this season, following Fort William being deducted nine points and fined £150 in August for fielding an ineligible player on three occasions.